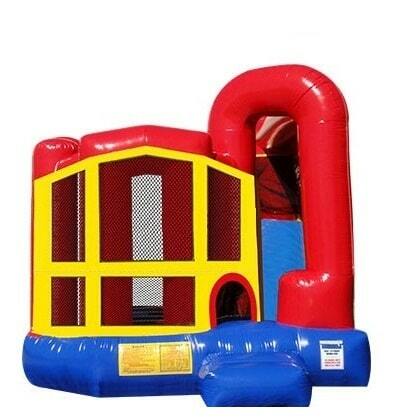 This multicolor slide jumper features a bounce area, basketball hoop, climbing area and slide. The classic color scheme makes this bounce house slide good for all occasions! Minimum space: 21'L x 17'W x 16'H.